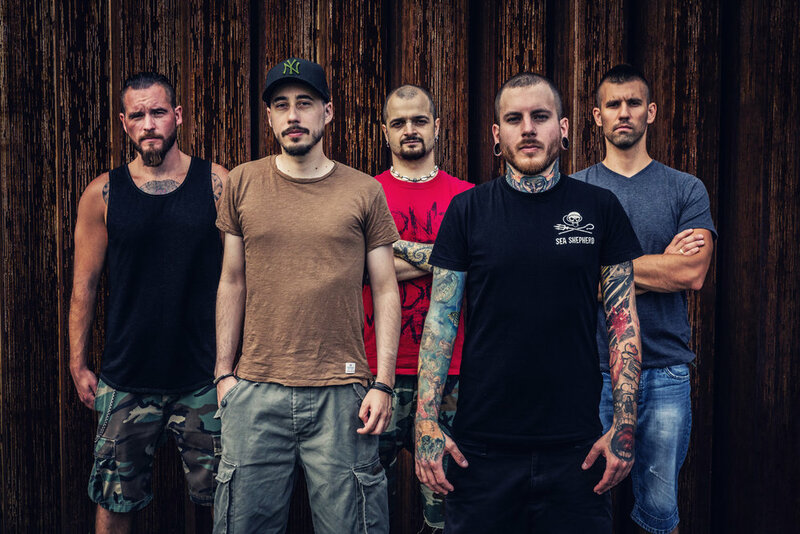 The Hungarian extreme groove metal band Omega Diatribe was formed in 2008 by Gergo Hájer (guitar) and Ákos Szathmáry (bass). They started to play live in 2012 with the lineup: Gergő Hájer (guitars), Ákos Szathmáry (bass), Tommy Kiss (drums), now with Tamás Höflinger (guitar) and Milány Lucsányi (vocal). They bring some super heavy grooves combined with crazy polyrhythmic elements. The band released their first promo track called Forty Minutes in the end of 2012. After years of hard work in the end of 2013 Omega Diatribe has finally released their full-length debut album entitled IAPETUS. IAPETUS contains 10 banging tracks with killer sounds. The guys recorded the CD at their own studio (515 Studio) in Budapest. Mixed and mastered by the founder guitarist Gergő Hájer. Artwork was painted by the band’s ex-drummer Dávid Metzger, so the guys are doing the DIY thing. In the beginning of the summer of 2014 the band’s drummer Dávid decided to leave the band. Omega Diatribe dropped out their brand new EP called ‘Abstract Ritual’ on 26th of February 2015, featuring Kevin Talley on drums. Their new drummer Tommy Kiss joined the guys at the beginning of 2015. In 2017 the guys have been hard at work on EP III & made some changes to the lineup with adding Milány Lucsányi on vocals (replacing Gergely Komáromi) & Tamás Höflinger on guitar (replacing Attila Császár).